God’s work of judgment in the last days is primarily to make a group of overcomers, a group of people who are of one heart and mind with God. This was preordained by God when He created the world. You could say that God has already made a group of overcomers, that they have all been made through God’s judgment and chastisement, and that they have come out from the tribulations of the cruel persecution of the Chinese Communist Party. It is a fact that God has already done this; no one can deny it. There are those who say that some of God’s words condemn and curse mankind, and then they give rise to notions. This is absurd. The judgment of God in the last days is the judgment of the great white throne as prophesied in Revelation. The righteous, majestic and wrathful disposition revealed by God is entirely for the sake of exposing man, to classify each person according to their kind, and even more so, to wrap up this old age and destroy the ilk of Satan. So, could God not condemn or curse all of Satan’s ilk that resist Him? Although some of His words judge and expose the corrupt expressions and the true corruption of God’s chosen people, and seem to be condemnations, this is so that God’s chosen people may see the essence of their own corrupt disposition, so that they may clearly see the truth behind this problem and achieve the understanding of the truth. If God’s words didn’t hit the nail on the head this way, if they were not so harsh, then we as human beings would have no way of knowing the truth of our own corruption and satanic nature, and the purification and perfection of mankind could not be achieved. So, all those who love the truth and have respect for facts are able to see that God’s words hit the nail on the head. Whether they are words of judgment and chastisement, or of condemnation, or cursing, they all completely conform to reality. God’s words are spoken with such practicality—they are so true. Not a single one of His words is excessive. 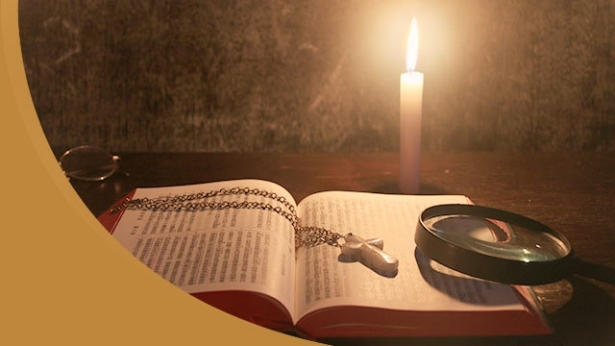 From the outcomes achieved through these harsh words of God, we can see that concealed within them are God’s genuine love for man and His earnest intention to save mankind. Only those who are fed up with the truth will develop notions; only those who hate the truth will be capable of judging and condemning the work of God. God has been carrying out His work in China for over two decades. Millions of people have experienced His work, and after being subjected to the cruel suppression and persecution of the Chinese Communist Party they are still all able to stand firm—this is entirely the fruit of God’s words. These people have all witnessed God’s love within His words and they have witnessed the suffering that God has had to endure in order to save mankind. Though some of God’s words may be harsh, they are all able to obey them, and have gained true understanding of God’s disposition, thus developing hearts of reverence and love for Him. They are all able to faithfully perform their duties and will follow God to the end of the road. This above all else will bring shame upon Satan; this is evidence that God has defeated Satan. Let’s read some passages from the word of Almighty God to better understand how God judges and cleanses people in the last days. Almighty God says, “Through what is God’s perfection of man accomplished? Through His righteous disposition. God’s disposition primarily consists of righteousness, wrath, majesty, judgment, and curse, and His perfection of man is primarily through judgment. Some people don’t understand, and ask why it is that God is only able to make man perfect through judgment and curse. They say, ‘If God were to curse man, wouldn’t man die? If God were to judge man, wouldn’t man be condemned? Then how can he still be made perfect?’ Such are the words of people who do not know the work of God. What God curses is the disobedience of man, and what He judges are the sins of man. Although He speaks harshly, and without the slightest sensitivity, He reveals all that is within man, and through these stern words He reveals that which is essential within man, yet through such judgment, He gives man a profound knowledge of the essence of the flesh, and thus man submits to obedience before God. The flesh of man is of sin, and of Satan, it is disobedient, and the object of God’s chastisement—and so, to allow man to know himself, the words of God’s judgment must befall him and there must be employed every kind of refinement; only then can God’s work be effective” (“Only by Experiencing Painful Trials Can You Know the Loveliness of God” in The Word Appears in the Flesh). Having heard the words of Almighty God, we should now be clear on why God is doing His work of judgment in the last days, correct? Aren’t we now all able to see the truth of how thoroughly corrupt mankind is? All of humanity lives under the domain of Satan, lives in sin, and relishes that sin. None in the religious community have taken notice of God’s coming; none love or accept the truth. Regardless of how some have borne witness to God or spread His word, how many are there who have actively sought out or investigated God’s appearance and work? And how many are there who would be able to accept and submit to God’s judgment and chastisement? Isn’t this mankind at the very height of wickedness? If not for God’s judgment work of the last days, would such thoroughly corrupted mankind, full of satanic dispositions who deny and resist God be able to be cleansed and receive God’s salvation? If not for God’s judgment work of the last days, who could make the group of overcomers? How would the prophecies of the Lord Jesus be fulfilled? How would the kingdom of Christ be realized? Many people with faith in the Lord believe that God is a loving and merciful God and that no matter what sins we commit, God will absolve us. They believe that no matter how corrupt we are, when the Lord returns no one will be cast aside, and that the Lord will nevertheless rapture us into the kingdom of heaven. Is this a tenable viewpoint? Is there anything in the Lord’s word to back this up? Isn’t this just a human notion, something that humans imagine? God is a holy and righteous God; could He permit people who are tainted by filth and corruption, filled with satanic dispositions, deniers of truth, and enemies of God to enter into His kingdom? Absolutely not! Therefore, the Lord Jesus prophesied that He will return, and in the last days do His judgment work and thoroughly cleanse and save humanity. The Lord Jesus said: “And if any man hear My words, and believe not, I judge him not: for I came not to judge the world, but to save the world. He that rejects Me, and receives not My words, has one that judges him: the word that I have spoken, the same shall judge him in the last day” (Jhn 12:47–48). As for mankind, so thoroughly tainted by corruption, God will surely issue forth the truth and carry out His judgment and chastisement of them. This is the only way to awaken the hearts and spirits of man, to conquer man, and to cleanse them of their satanic dispositions. God’s words of judgment against mankind for its filth, corruption, rebelliousness, and resistance against God may be harsh, but nonetheless they manifest God’s holy and righteous disposition, allowing us to understand our own satanic nature and the true face of our own corruption. Having undergone God’s judgment and chastisement, we have all been conquered by God’s word and we willingly submit to His judgment. We have gradually come to understand the truth and clearly seen our own satanic disposition and nature; we have achieved a true understanding of God’s righteous disposition and have developed a reverent heart for God. Our way of looking at things shifted before we even knew it, and changes in our life disposition began to take place. We became able to fear God and shun evil. 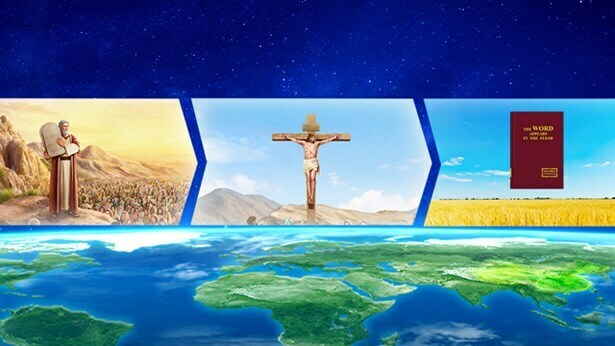 God’s work of judgment in the last days has finally achieved the formation of a group of overcomers—this is the fruit of God’s judgment work in the last days, and it is the true significance behind God’s work of judgment beginning with His house. What does this show us? God judges and exposes man with His word not to punish and destroy man, but completely to cleanse, transform, and save man. But for those people who refuse to accept the judgment and cleansing of the word of Almighty God, once the great disaster befalls them, they will be punished. Previous：Question 16: You testify that in the last days, God expresses the truth and does the work of judging and purifying man, so how exactly does God judge, purify and save man? Next：Question 18: One aspect of the Lord Jesus’ work of redemption was to forgive and absolve us of our sins, while another aspect was to bestow peace, joy, and bountiful grace upon us. This has shown us that God is a merciful and loving God. However, you bear witness that Almighty God does the work of judgment in the last days, that He expresses the truth and judges and chastises man, prunes and deals with man, exposes man and eliminates all sorts of evil people, evil spirits, and antichrists, allowing people to see that God’s righteous disposition does not tolerate any offense. Why is the disposition revealed in the Lord Jesus’ work entirely different from the disposition revealed in the work of Almighty God? How exactly should we understand God’s disposition?